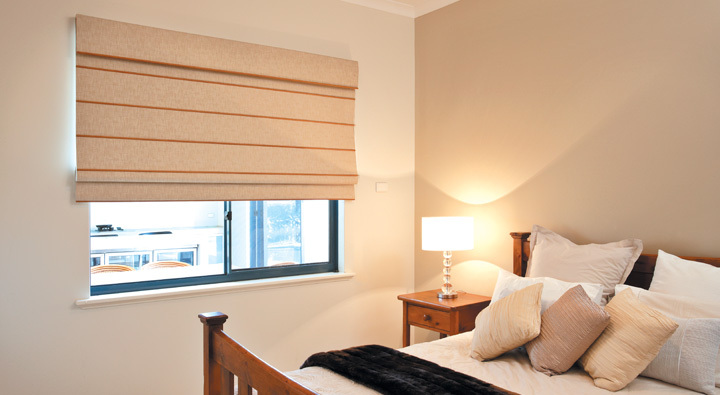 Roman blinds offer a clean-cut contemporary look that is ideal for today’s modern décor. They provide your windows with a clear view when fully open and total privacy when drawn at night. Available in a choice of stylish designs and in two styles; soft layered pleat or flat panel effect. 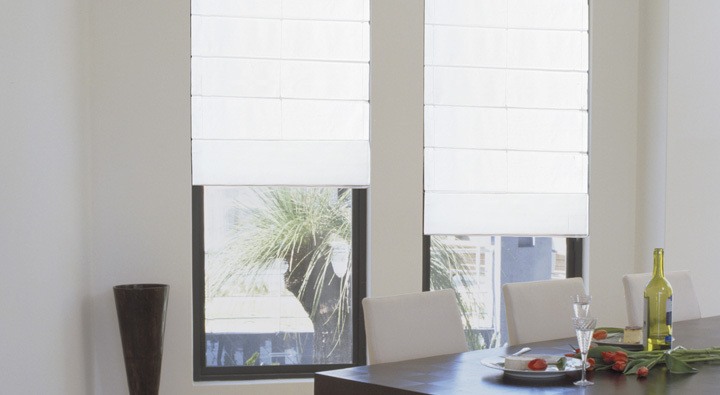 Achieve the look of casual elegance with Californian Blinds. Made from a select range of fabrics with a timber batten supporting each panel, the natural look of timber, combined with the texture of the fabric, makes them perfect for casual living areas.Optional Oma electric automation also available. 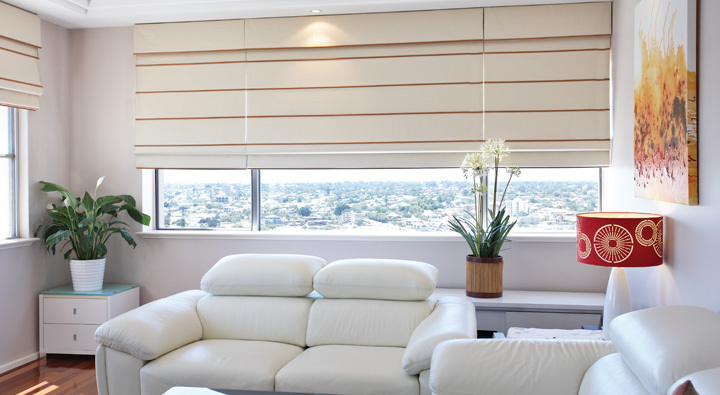 Kimono Blinds are Roman Blinds with battens sewn into fabric pockets. A modern interpretation of an ancient oriental style, they add a calm serenity to your living spaces. Available in bright and strong colours, or soft and natural tones to suit any décor. 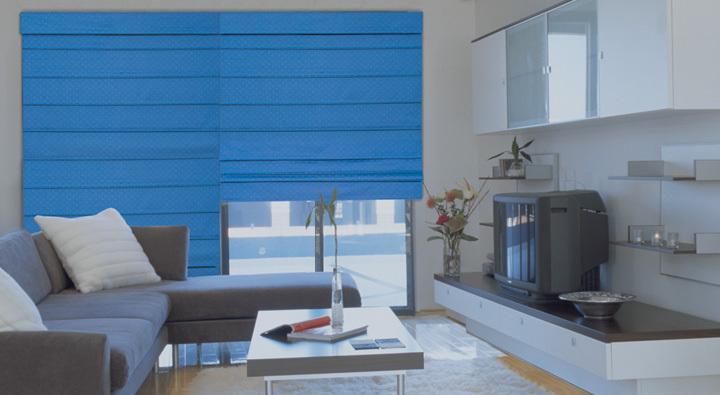 Sorrento blinds are all about creating an atmosphere of stylish informality. Their casual simplicity allows them to fit easily into any setting and any style decor. The fabrics hold their shape without any extra lining and you can choose from black-out, dim-out or translucent fabrics. Simplicity of design.